Instructors often need to send an email to all students and participants within a course that they are teaching. 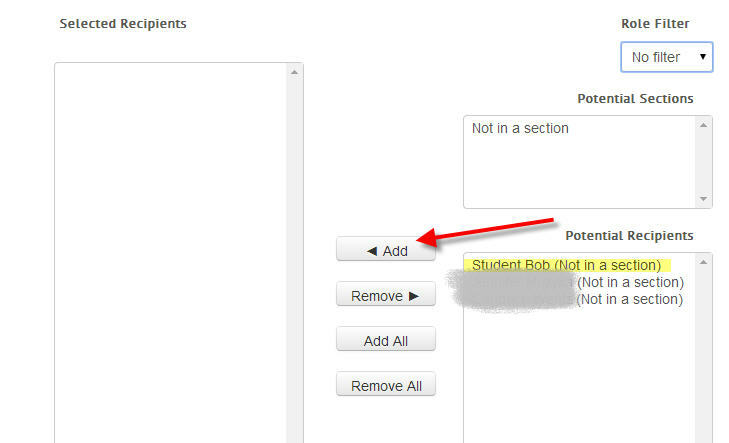 In Moodle, there are several ways to do this. Your choice will depend on the frequency of these emails and how integrated the messages should be in the course material. 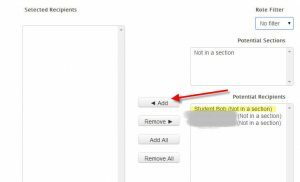 If you want to integrate the messages into the course site, so that students can refer to them easily, you can use the News Forum/Announcements. Every course has this forum automatically created in the very first section of the course. 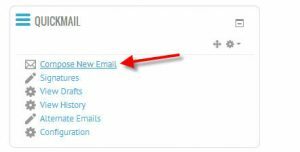 This forum is set up so that all users are permanently “subscribed” to it, which means that they will receive an email whenever a new post is made in that forum. Therefore, if you post a new topic to the News Forum, each participant in the course will receive an email with the content that you have just posted. The emails will be sent to the email address that each user has associated with his or her Moodle account, which in the case of all Centre College Moodle instances is the user’s Centre address. If the forum is accidentally deleted, it can be restored. From the main page of your course make sure editing is on and click on the “blocks” dropdown menu and then click on the line that says “latest news”. You can use the Participants menu to select all or some of your students and send a simple message. In the Navigation block on the left, navigate to the appropriate course. Expand the menu for that course, and click on Participants. You’ll see a list of participants, students and instructors appear in the content area of the page. Use the Select all button, or click individual Select checkboxes, located at the far right. Choose Send message from the “With selected users” menu. Compose the message in the Message Body area, using the editor to format it. If the message looks correct, click Send message. * This type of messaging only sends a message WITHIN Moodle; it does not email users. You can compose an email directly from Moodle to your class with this module. 6. Click Send email or save as a Draft.